Question: How do you begin the process of finding a technology solution to manage your external workforce, and accommodate your unique business policies, processes, and objectives? The answer isn't as simple or straightforward as it seems. 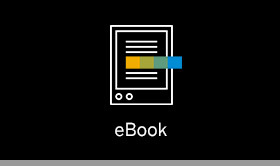 In this eBook developed by SAP Fieldglass, the long-standing leader in external talent management and services procurement solutions, we provide steps and questions for you to consider when developing a business case to implement a technology solution – a Vendor Management System (“VMS”). By working through these steps, you will be one step closer to developing your business case and realizing greater value from your external workforce. Before you can embark on a process to select and implement a technology solution to help you manage your external workforce, it’s important to understand what issues you want to tackle, and the business outcomes you want to realize. Download the eBook to better understand some of the key business drivers impacting most organizations seeking a vendor management solution (VMS). The same people who helped identify your pain points and business drivers are potential program ambassadors and should be closely involved in the change management process. This typically includes hiring managers, procurement, HR, legal, IT, and finance – and their senior leadership. After securing stakeholder support, hone in on the issues most important to them, establish priorities, and make those an integral part of the change management process. This will help to set your program up for success. After defining your priorities and identifying the factors most important to your success, you should engage VMS providers, focusing on one best equipped to partner with you based on program goals, business priorities, organization size, and more.